Despite having gone extinct millions of years ago, dinosaurs still fascinate people today. Enormous and more dangerous than any other lizard seen on Earth, there’s a lot of curiosity about these animals, and a lot of research has been conducted in trying to unravel the mystery about them and their extinction. While most people would rather not imagine sharing the earth with such terrifying monsters, most of them are eager to discover everything they can about them. For years now, palaeontologists have gone to work excavating fossils and finding evidence left behind by dinosaurs. This has led to the discovery of many sites where skeletons of the huge lizards have been excavated and even their footprints and tracks recognized. If you are enthusiastic about these reptiles, you do not have to rely on fictional films made featuring them. You can pack up and visit any of the places listed below for an exclusive dinosaur experience that will have you walking the grounds they used to walk, and even touching their remains. Utah, in conjunction with neighboring Colorado, is home to the Dinosaur National Monument, which straddles the two states in the US. Visitors here get a more hands on experience, as they can view and touch fossils of dinosaurs that are still embedded in rock and said to be millions of years old. The Quarry Exhibit Hall holds a whopping 1,500 dinosaur bones. Stegosaurus, Apatosaurus, Camarasaurus, and Allosaurus are some of dinosaurs whose bones you can find in the Carnegie Dinosaur Quarry. 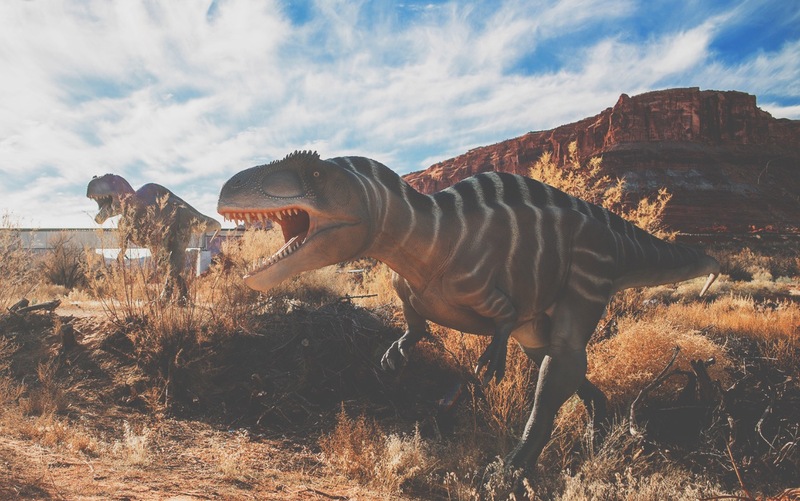 At the St. George Dinosaur Discovery Site, walk the same ground the reptiles walked on the preserved dinosaur tracks. Dinosaur lovers get the ultimate experience with the 60 complete dinosaur skeletons mounted in the Museum of Ancient Life. Alongside the world’s most complete skeleton of the Stegosaurus, also found here are two Tyrannosaurus Rex and a 120 ft long Supersaurus. Made famous by the Jurassic Park film, the Velociraptor is actually a ferocious dinosaur that truly existed. In the Gobi desert of Mongolia, dinosaur enthusiasts can roam the very area in which this huge lizard once hunted. There is also evidences of the Pinacosaurus and the herbivorous Protoceratops to be found here . Like Utah, Wyoming is another US state that’s rich in dinosaur history. Here, find the Wyoming Dinosaur Center. More than 30 mounted skeletons of the Triceratops, Velociraptor, and the Stegosaurus grace this center. There’s also one of the Archaeopteryx, the only one of its kind in North America. An exciting experience for visitors at this center is Dig For A Day, which allows you to go looking for fossils and bones in a nearby excavation site. There’s plenty of bones to find, and if you do come across one, you’ll have your name, plus that of the bone you discovered, recorded in the center’s bone registry. Another interesting dinosaur related spot in Wyoming is the Fossil Cabin, found some three hours from the center. This cabin was built in 1932 by Thomas Bryla, using 5,796 real dinosaur fossils. It’s definitely a sight to see for any dinosaur lover. 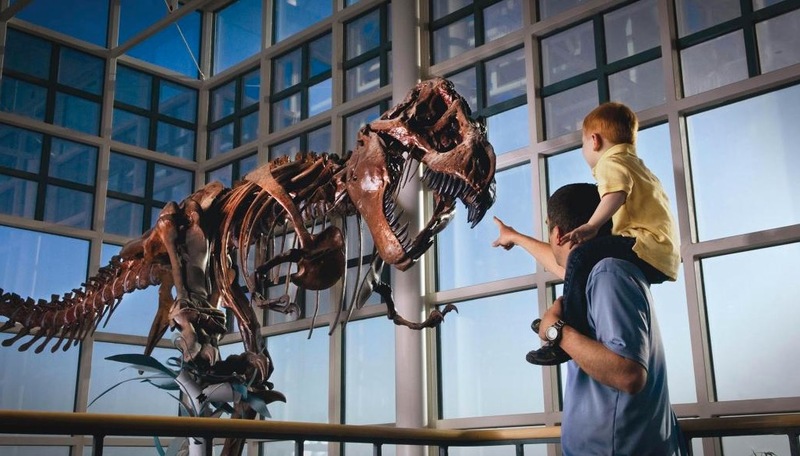 If you have a particular fondness for Tyrannosaurus Rexes, you’ll love the Siebel Dinosaur Complex. See the largest T-Rex skull ever discovered alongside 13 nearly complete skeletons of the same kind here.